Plush human organs are nothing new. My cousin may have lost her real gallbladder a few years back, but she quickly gained a soft and cuddly one thanks to me. 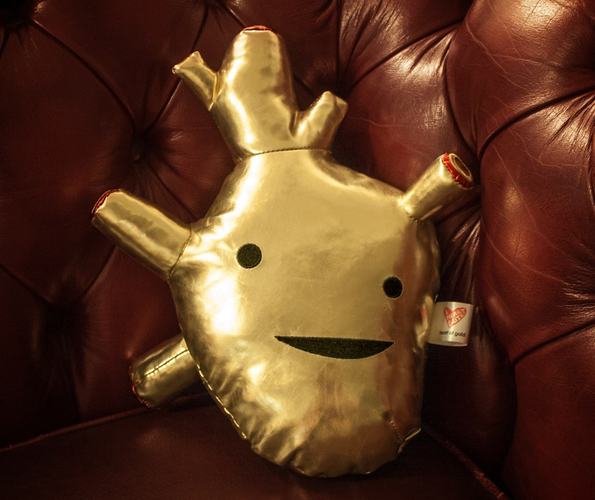 The Heart of Gold Metallic Plush Toy is different. It doesn’t just say “here’s a toy organ” it screams “you have a heart of gold and I know it!” Perfect for that selfless hero in you life, the huggable muscle will pump them up and keep them going day after day, just like the real thing.